Got your own laptop or tablet? Bring it to class, many schools now say. 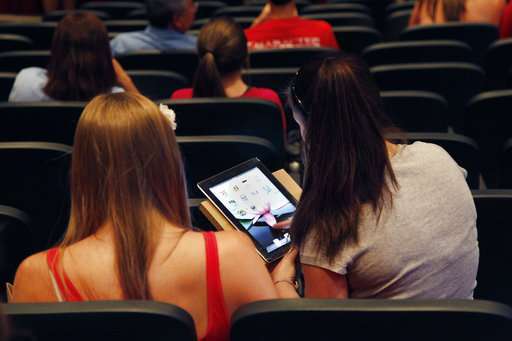 Policies known as BYOD (Bring Your Own Device) or BYOT (Bring Your Own Technology) initially raised eyebrows among parents and teachers, who feared they would open the door to addictive video games and social media in class. But many of those skeptics are being won over, saying BYOD expands educational opportunities, saves money and reduces technical headaches. "Initially, some parents and teachers were afraid the kids would be playing Mario Kart and other games in school. But we had a lot of meetings with parents before adopting the program, and that was very important. We really took the time to address community concerns early on," says Mike Cicchetti, coordinator for learning technologies in the Volusia County School District in Central Florida. The district was an early adopter, starting its BYOD program in 2011. "We started by trying it in a few schools in the district. And it was so popular that we now have it in every single school. It really opened up the world to teachers and students, allowing them to move away from worksheets and give them more interactive options," Cicchetti said. He said computer access can teach "global citizenship." "We tell families that they bought these devices for their children, but that it's important to teach them that there's much more value to what's in their hands than YouTube and games. 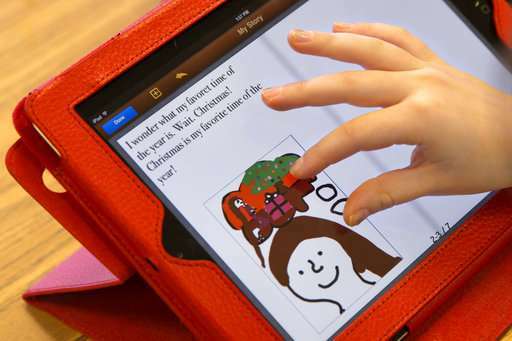 And they see their parents and grandparents using these technologies to read and communicate," he explained. Districts that embrace BYOD policies usually put strict limits on what kids are permitted to do with their devices in school. And not all devices are welcome. In the Mamaroneck Union Free School District, in Westchester County, New York, for example, smartphones are not among the devices approved for classroom use. "We want to make sure the students have a larger screen, so that they can write, diagram and access Google Classroom," said the district's superintendent, Robert Shaps. "But we do want students to have the flexibility to use the kind of device that best suits them." The district offer tablets or Chromebooks to those who do not have their own devices or who don't want to bring them to school. Proponents say the policy gives kids access to learning apps and more computer access, and that students often feel more comfortable using the technology they know best. Such programs are not without their problems. "The issues that come up are typical, and computer games in school are the least of it," says Rick Mayfield, principal of Pacheco Elementary School, a bilingual public school in San Luis Obispo, California. "I do spend a lot of time dealing with things like kids emailing mean things and stuff like that. But it's definitely worth it. It gives kids a chance to learn about technology and coding, and it also helps educate them about what's appropriate.... This is their world, so it's natural for it to also be a part of their education," he said. Having their own devices, he said, means kids "are comfortable with them and really want to work with them both at school and at home, as opposed to traditional homework which is way less exciting to most kids." Shaps, in Mamaroneck, says: "Our high school is one of the few in the country with an open campus. The students can come and go as they please. This is an extension of that freedom, which helps students learn responsibility. We recognize that students are living in a digital age, and BYOD helps students establish the foundations of digital citizenship."